Cruset Hair Food Wax 175 ml. Extra Moisturizing & Healthy Shine with UV Protection. 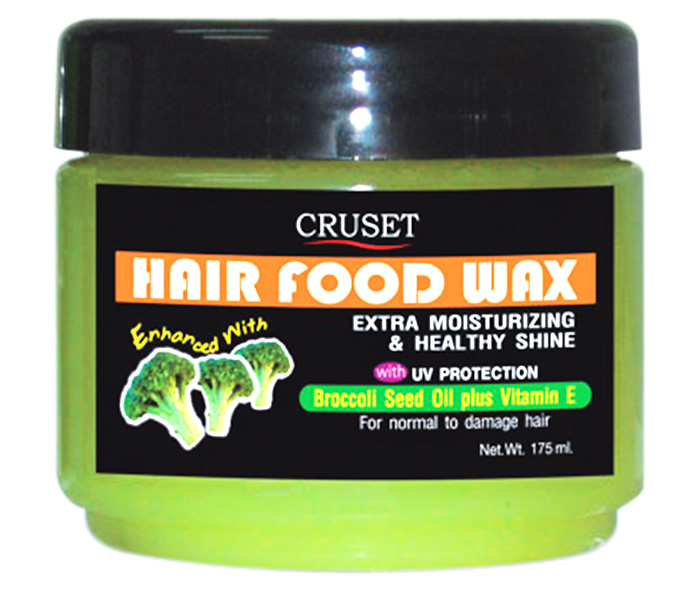 Special blends of Broccoli Seed Oil and Vitamin E that excellent sources of particular nutrients; Vitamin A, C, Essential fatty acids, that can penetrate into hair fibers to nourish and provide a superior moisturizing with silky soft feel and also anti-frizzy hair while giving a brilliant healthy shine without greasy feel. Leave hair repair and protect from damage with color retention property. Ideal for all hair types in need to dressing hair with conditioning effects. Cruset Blue Diamond Hair Serum 80 ml. 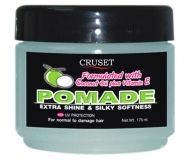 Cruset Hair Pomade 175 ml. Cruset Gel Styling Wax 60 ml.